A Washington County farm that has been operated by the same family for more than 200 years has been included on a list of 10 historic sites most at risk across Pennsylvania. Longwall coal mining could harm several historic buildings at Plantation Plenty in Independence Township, according to Preservation Pennsylvania. The nonprofit organization released its list of endangered properties on Thursday. State and federal environmental and preservation regulations require an analysis of the impact of commercial activities like mining on historic properties, according to Erin Hammerstedt, a field representative for Preservation Pennsylvania and the National Trust for Historic Preservation. “Our goal would be to keep longwall mining out of this historic farm,” she said. Preservation Pennsylvania is a private membership organization that seeks to protect historically and architecturally significant properties. The National Trust for Historic Preservation, created by Congress in 1949, plays a similar role across the country. Plantation Plenty has been operated since 1800 by Isaac Manchester and his descendants. Joseph Pagliarulo and his wife, Margie, who is a Manchester descendant, acquired the 400 acres in 2005 and now run it as an organic farm, producing milk, beef, pork and vegetables. The Manchester family had sold coal rights to the property in 1915, except for three acres under the farmhouse and other nearby buildings. The mining rights are owned by Penn Ridge Coal, a subsidiary of Alliance Resource Partners, a Tulsa, Okla.-based coal producer with $1.2 billion in revenues. While longwall mining would never occur directly under the farmstead, major mine subsidence nearby still could damage the structures, Ms. Hammerstedt said. Another possible side-effect of the mining could be to degrade or ruin the farm’s water supply by fracturing the rock that feeds its springs and wells, according to Preservation Pennsylvania. Penn Ridge has not yet applied for mining permits, Mr. Pagliarulo said, but he fears “it is just a matter of time.” He said it is not financially possible for him and his wife to buy back the coal rights. An end to farming on the Manchester property would represent a cultural and environmental loss, he said. Two other Western Pennsylvania properties or areas are on the preservation organization’s list. Holland Hall in Meadville, which has been vacant for 15 years, is in danger of demolition, according to Preservation Pennsylvania. The poor condition of the building — many interior walls and electrical, plumbing and heating mixtures have been removed — make it attractive to a buyer who would tear it down and replace it with a new structure. Holland Hall was built in 1899 by A.C. Huidekoper, a Civil War veteran who made fortunes in coal, iron, oil and railroad businesses. The Gilded Age mansion was built around a smaller red-brick building constructed in 1804. Mr. Huidekoper and his wife, Frances, had lived in the smaller structure before the larger house was built. Following the death of Mrs. Huidekoper, Holland Hall was sold and used as a fraternity house from 1935 to 1995. Plans to redevelop it as a conference center and bed-and-breakfast fell through. “In order to prevent the demolition or continued neglect of Holland Hall, a buyer interested in acquiring and rehabilitating this architecturally significant building is needed,” according to “Pennsylvania at Risk 2010,” the organization’s newsletter. Plans for a wind farm on the crest of Evitts Mountain in Bedford County’s Bedford Township could endanger a rural historic district known as Dutch Corner, according to Preservation Pennsylvania. Dutch Corner has more than 30 farmsteads and a historic school, church and several cemeteries. Plans to build 24 wind turbines on the ridge above the valley would require blasting and filling to construct concrete foundation pads and to bury a transmission cable, according to the organization. It also warns that noise from the wind turbines would disturb the neighborhood’s rural character while the blasting could affect water supplies. Preservation Pennsylvania’s 2010 list of at-risk sites is available on its Web site, www.preservationpa.org. The Friends of Old Economy Village will receive a $241,000 grant from the state of Pennsylvania to upgrade facilities, develop a marketing plan and hire education staff for tours at Old Economy Village in Ambridge, Beaver County. Sen. Elder Vogel Jr., who announced the grant today, said everyone was surprised when the Pennsylvania Historical and Museum Commission announced 11 months ago that it would stop funding educational programs at Old Economy, the third and last home of a 19th-century Christian communal group called the Harmony Society. The Harmonists farmed, ran textile mills, made their own furniture, silks, clothing, pottery and wine. Old Economy is a National Historic Landmark with outstanding architecture. After suffering a $15.7 million cut in its budget, the historical and museum commission closed Old Economy Village in November of 2009. In April, a dedicated group of 300 volunteers signed a licensing agreement with the state and reopened the six-acre site, conducting tours, staffing the facility on the weekends and answering visitors questions. “We want to make sure that Old Economy Village thrives so that future generations can learn about this hidden gem in Beaver County,” said Mr. Vogel. There’s a saying in farm circles: Get big or get out. But some farmers here are proving there’s another way to survive. Diversification — essentially a “re-purposing” of the family farm — is bolstering profits and enhancing staying power at a time when many farmers feel forced to trade their tractors for briefcases or hard hats. The strategies are varied: the berry farmer who begins baking and selling berry pies; the crop farmer who opens his land for hunting; the tree farmer who transforms a barn into a gift shop. Each strategy has two things in common: eliminating the middleman — which strengthens the connection between the farmer and the public — and putting more money in the pockets of the farmers’ overalls. It’s win, win, win — for the farmers looking to preserve their way of life; for a region in which agriculture is a key economic generator; and for suburbanites and others who yearn for locally produced foods. The future of family farming will be rooted as much in creative thinking as in the dirt, said Leah Smith of the Pennsylvania Association for Sustainable Agriculture. The group’s mission is to promote profitable farms that produce healthy food and respect the environment. “We are challenging the conventional idea that you either get big or get out in agriculture. We are finding new ways to connect with consumers and give them an opportunity to get closer to the family farm,” Ms. Smith said. He was in high school when the drought of 1988 struck, sending shock waves through the farming community. “I realized that I didn’t want to be totally at nature’s mercy for my livelihood, but I wanted to continue to farm,” he said. He sold the Camaro he had bought with his 4-H project earnings over the years and used the money to buy game birds. He and his wife, Valarie, now operate the 450-acre Four Seasons Game Bird Farm, a regulated hunting preserve in Middlesex. The couple still raise crops and animals on the land, but when the growing season is just about finished, the property is opened for guided hunting expeditions for ring-necked pheasant, quail and chukar partridges. “To … pay the bills and have any type of extra, you can’t just do one type of farming any more,” Mrs. Kennedy said. She said that she and her husband knew before they began raising their three children — ages 4, 8 and 11 — that farming was the lifestyle they wanted. And they knew they needed to diversify to make it work. That’s the message that Jane Eckert conveys when she speaks at conventions across the U.S. The owner of Eckert AgriMarketing in St. Louis, Ms. Eckert is a consultant who has made it her mission to help the family farm survive. She said her focus is helping a farmer recognize a strategy for diversification. “We look at the land, the assets and we say, ‘Gee, how about adding a snowmobiling trail for winter?’ Or, we explore the value of selling their products on the farm or starting a B&B or opening up for pick-your-own,” she said. Sandra Brown, owner of So’Journey Farm in Jackson, did just that. A rug-weaver who conducts workshops on the craft, she moved from Pittsburgh to the 45-acre farm five years ago at age 58 with a desire for farm living and a determination to make it income-producing. She zeroed in immediately on livestock — she says she has a “real passion for growing really good food” — and figured that using her 1880s farmhouse as a B&B would add a level of financial certainty to the operation. “I knew going in that agritourism was the way to go,” she said. She now raises laying hens, French roasting chickens and Scottish Highland beef cattle. She “harvests” her own animals and makes the most of her assets, moving her chickens around to feed so their manure will fertilize different areas of the farm and turning over her orchard to her cattle for grazing. She barters with local farmers for use of heavy equipment that she doesn’t want to buy and makes direct sales to consumers, charging premium prices — $4.50 a pound for the roasters, for example — for her grass-fed beef and her free-ranging chickens. At Sand Hill Berries in Mount Pleasant Township, one might say the story began humbly — with pie. Initially, the couple began planting trees: sugar maple, apples, pears, peaches and sour cherries. But they noticed that raspberries were growing wild throughout the property. Thanks to pure serendipity, they came upon someone desperate to move 7,000 raspberry bushes and they got them cheap. When the bushes began bearing fruit, the Lynns did what most growers do: They sold the berries wholesale — until one year when unseasonably hot weather produced poor-quality California berries that drove down berry prices. “That made us see that we needed other venues for the product,” she said. The next thing she knew, she was marketing berry pies and dessert toppings directly to festivals. Then came a Victorian-era raspberry-infused vinegar. Then jams and jellies for gift baskets. Then a little on-site retail store to sell the products. Then a dessert cafe on the farm for those who were visiting and wanted just a piece of pie. In 2007, they added a winery and a Nectar Garden. Soon, people were asking to be married on the property and to hold receptions there. “We’ve got people waiting for dates in 2012,” Mrs. Lynn said of the operation that now involves other members of the family as well as a couple of outside partners. Mrs. Lynn said the enterprise has been and continues to be an adventure that isn’t making them rich but is keeping the family in business. “We grow what we sell. We’re proud of that. There’s no middleman,” she said. Marty Hozak of Hozak Farms in Hanover agrees that diversification transformed their family farm from a “standard pigs-chickens-and-egg operation” that barely supported his grandfather to an enterprise that supports himself; his son; his parents, Bob and Virginia; and his sister, Ellen Dillon. The change began when his father read an article while in college that said raising Christmas trees could be a money-making venture. The first planting was in 1949. For several years, Bob Hozak wholesaled the cut trees and, as the son puts it, “It was easier money than chickens.” But soon the realization dawned that direct sales was more profitable. “We started having people who wanted to cut their own tree. And that’s when things began rolling,” Marty Hozak said. The occasional cut-your-own request became an all-out effort to “create an experience, make a memory” for the visitor, with tractors that hauled customers out to the woods and a gift shop in a renovated barn where tree lights and ornaments were displayed. For a number of years, the Hozaks were all about Christmas. Then, in the 1980s, they decided to expand their season to include fall. A pumpkin patch was grown and the tractors that were used to transport tree-cutters were used for fall hayrides. The next step is figuring out what to do in spring or summer. The Farm Survey of Greene and Washington Counties, managed by PHLF under the auspices of the Pennsylvania Bureau of Historic Preservation (“BHP”), is about ninety percent complete. The survey contains a list of 1,150 farms and farmsteads from both counties and includes photographs and descriptions of historic buildings, uses of farm lands, and potential priorities for easements. The survey focuses primarily on existing historic structures. For the next steps, Landmarks hopes to work with local organizations from both counties to help promote agricultural tourism. The survey information will also be compiled in a statewide database managed by the BHP. The Pittsburgh History & Landmarks Foundation’s latest newsletter provides an insight into the organization’s efforts to protect and enhance historic farms. The situation with such farms in the state “is taking on a sense of urgency,” according to the December edition of PHLF News, which identifies urban sprawl as the culprit. “Urban sprawl is occurring at a higher rate in Pennsylvania than in almost any other state in the nation,” Landmarks says. Slowing down that encroachment is a goal of the foundation’s Historic Farm Preservation Program, said Arthur P. Ziegler Jr., the organization’s president. The program was established in 2002 with a $500,000 lead grant from the Richard King Mellon Foundation, and augmented by additional grants of $100,000 from Richard M. Scaife, owner of the Tribune-Review Publishing Co. and a trustee of Landmarks, and $50,000 from the Laurel Foundation. Since then, the organization has moved to protect some 1,300 acres and 35 historic farm buildings with a collective value of $6.4 million through easements, acquisitions and gift planning strategies. “This is important, because we are losing farms at a rapid clip,” Ziegler said. As reported recently by the Valley News Dispatch, the U.S. Department of Agriculture has classified 7.65 million acres in Pennsylvania as farmland. Figures from the American Farmland Trust show about 150,000 acres in the state have been developed in the past 10 years. Working with the Historic Pennsylvania Agriculture Project, Landmarks has joined with the federal Preserve America program and Pennsylvania Historical and Museum Commission to help fund and manage the survey, which began in July. Total project cost is $109,942, with Landmarks responsible for raising $44,942. Ziegler said work on the project is probably “about half done” at this time. It’s being carried out by project teams who are photographing buildings and landscapes, sketching site plans of farmsteads and documenting special features that may be unique to the region’s agriculture. In the meantime, a group of consultants is visiting historical societies and libraries to gather data, historic maps and photographs. “The purpose of the survey is to document the agricultural history and resources of these two counties and create a comprehensive database that will support a statewide effort to preserve working farms, boost the agricultural economy, develop heritage education and tourism, and raise awareness about the importance of Pennsylvania’s agricultural history,” the newsletter says. When the survey is completed in August, the data will be accessible online, along with a collection of oral histories from Pennsylvania farmers and archival materials, including federal and state agricultural census manuscripts for 1850, 1880 and 1927. The foundation says it also hopes to raise funds to conduct a market analysis for special agricultural purposes based on the survey data. It wants to define and implement a rural tourism program based on the region’s historic resources, and access the potential for developing a farm preservation easement program for the two counties. The state Department of Agriculture says there are more than 100 farms in Allegheny, Armstrong, Butler and Westmoreland counties that are protected by the state’s program. Officials said more than 370,000 acres are preserved in the state, representing about 5 percent of the state’s farmland. “Pennsylvania leads the nation in farmland preservation,” said Doug Wolfgang, director for the agriculture department’s Bureau of Farmland Preservation. Butler County farmer Ed Thiele said he has no regrets about enlisting in the state’s Farmland Preservation program. The state paid Thiele $363,432 in 1996 for development rights on his dairy farm in Jefferson and Winfield townships. The easement guarantees the farm remains designated for agricultural use. Thiele likely could’ve earned much more by selling his farm, or a portion, to a developer. But he said he has plans to keep the farm working and pass it on to his children. The goal of the program is to conserve valuable farmland that can’t be reclaimed once it’s developed, That’s because the soil won’t be suitable for agriculture after it’s been so seriously disturbed. Thiele and a few other Butler County farmers said the state’s program has been successful in reaching that goal. “There are always people stopping by, asking if I’ll sell them a portion to build a house or a church,” he said. “I tell them right off the bat that there’s a deed restriction on it. Thiele said that once a farmer decides to sell development rights to the state, there’s no turning back. According to the state Department of Agriculture, there are more than 100 farms in Allegheny, Armstrong, Butler and Westmoreland counties that are protected by the state’s program. About a dozen of those farms are in the Alle-Kiski Valley — the bulk of them in Butler County. Agriculture department officials said more than 370,000 acres are preserved in the state, representing about 5 percent of the state’s farmland. Wolfgang said it is unknown how many of the state’s farms would qualify for the program. The USDA, he said, has classified 7.65 million acres in Pennsylvania as farmland. According to the American Farmland Trust, about 150,000 acres in the state have been developed over the last 10 years. Ed Goldscheitter, who farms in Buffalo and Clinton townships, agreed and said that’s why he decided to protect his land through the state’s program. “For 40 years I’ve been concerned about losing farmland to development and urban sprawl,” he said. Goldscheitter has two parcels in the state’s program. He said he intends to pass the property down to family. “We’re stewards of the land,” he said. “You just can’t keep putting up housing plans on it and continuing to destroy it. It’s not something we can let disappear because we don’t understand the value of it. Goldscheitter said that when he decided to enter his second parcel into the program, he was one of the farmers forced to wait for funding to become available. But he declined to say he felt any disappointment at having to wait. He said that’s the nature of the program. Goldscheitter said he doubts farmers seek out the program to make money. Fellow Butler County farmer Harold Foertsch estimated that he could earn three times as much money by selling his land to a developer than by selling development rights to the state. Still, Foertsch said that didn’t dissuade him from applying this year for the program. Foertsch farms corn, beans, wheat and potatoes and raises cattle. He said he’s seeking to have 100 acres protected and has been told his farm was accepted although he hasn’t been paid yet. Like Thiele and Goldscheitter, Foertsch said his concern is watching good farmland turn into developed property that can’t be returned to agricultural use. Farming for Foertsch is a family affair and he said he plans to keep it that way. “It’s a way of life,” he said. Michael Aubele can be reached at maubele@tribweb.com or 724-226-4673. Levi Miller’s straw hat and long, white beard moved from side to side as he shook his head at the notion of the Amish accepting government money to preserve farmland. Amish farmers in the counties of Indiana, Somerset or Lawrence — areas with large Amish settlements — don’t participate in farmland preservation programs, according to preservation officials in those communities. But in Eastern Pennsylvania, Amish in fast-growing counties such as Lancaster and Chester have come to realize that preservation programs may be the best way to preserve farmland. With the preservation program, a farmer sells the right to develop the property, and receives a set amount of money per acre in exchange for keeping the land in agriculture. The amount varies from county to county, based on real estate values and the money available, agriculture officials said. There has been less of a push with the farm preservation program in southwestern Pennsylvania than in eastern counties, where development is more rapid. The Amish in Western Pennsylvania also tend to be more conservative than those in the southeast, Kraybill said. 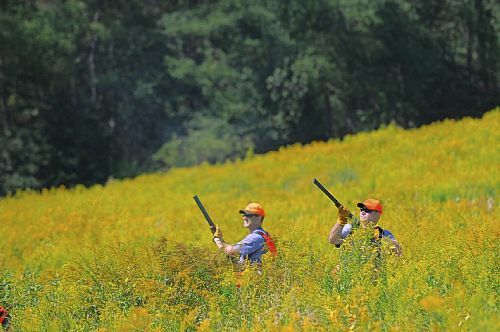 “They won’t accept any money from the government,” said Susan Moon, assistant manager of Somerset County’s conservation district. Pennsylvania’s Amish population of about 48,600 ranks second to Ohio’s nearly 55,000 Amish residents, according to the Young Center for Anabaptist and Pietist Studies at Elizabethtown College in Lancaster County. Amish settlements in Lancaster County, Indiana County and the New Wilmington region of Lawrence County are among the largest in the country, according to the college’s Web site. Pennsylvania ranks No. 1 in the nation in farmland preservation, according to the American Farmland Trust. About $536 million has been spent through the state’s conservation easement program, preserving 344,465 acres and nearly 3,050 farms. Knepper said time, more liberal thinking among some Amish religious leaders and a better understanding of the purpose of the money were factors in getting the Amish involved. Betty Reefer, of Westmoreland County’s agriculture preservation program, said that’s helped encourage Amish participation. “In the beginning in Lancaster County, it was very tough getting them involved in farmland preservation because it involved the government, but they were able to convince them it fit into their lifestyle, and it caught on,” she said. Of the 694 farms preserved through the Lancaster County program, about 25 involve Amish farmers, Knepper said. Most of those became involved in the program within the last three years, he said. Karen Martynick, executive director of the nonprofit Lancaster County Farmland Trust, said about 60 percent of the 273 farms preserved through the trust, or approximately 165 farms, involve the Amish. She said her group’s use of private money appealed to more Amish than the government-funded preservation program, even though the Trust is paying about $800 per acre compared to the $3,000 to $4,000 per acre typically paid through the state-county preservation program. The trust began accepting government funding in 2005. Martynick said that money isn’t used to preserve Amish properties if the Amish object. Henry Beiler, an Amish farmer in Lancaster County who participates in the preservation program, said many Amish farmers didn’t understand how they could receive money for something they couldn’t see. Donald Kraybill, professor of sociology at Elizabethtown College and a noted Amish scholar, said the Amish reluctance to participate with the government stems from an age-old conviction. “In general, they’ve always drawn a line between the church and the state,” he said. About 20 Amish farms are included in the more than 200 farms preserved through Chester County’s open space and farmland-preservation programs, said Bill Gladden, director of the county’s open space program. He said efforts of public and private groups have met with the Amish and that has made a big difference. A farmland-preservation arm of the private Brandywine Conservancy was formed a few months ago, and Patrick Fasano of the conservancy said two Amish farms have been preserved so far through the conservancy’s efforts. Bob Stiles can be reached at bstiles@tribweb.com or 724-836-6622. Pennsylvania’s Farmland Preservation program arguably is the leading program of its kind in the country in terms of money spent on protecting land and acres acquired. Since creating the program in 1988, the state has invested roughly $1 billion in purchasing development rights — known as easements — from farmers who want to ensure their land remains dedicated to agricultural use. But even with the vast amount of money being spent on easements and success of conservation efforts, many interested farmers find themselves being told they have to wait for a chance to participate. While the state has preserved more than 3,300 farms, about 2,000 farmers have their names on a program waiting list, according to the Department of Agriculture. Meanwhile, the state ranks sixth among those losing farms to development most rapidly. Agricultural experts say even though Pennsylvania’s farm preservation efforts could be considered a model program, more funding is needed to prevent prime farming land from being converted to housing, commercial or industrial developments. State leaders say finding additional funding might will be difficult and that there’s no guarantee throwing more money at the program will make it more successful. “It is the nation’s leader, unquestioned,” Jim Baird, an official with the American Farmland Trust, said about Pennsylvania’s program. “But there really is more that needs to be done. The Trust, a nonprofit created in 1980, is lobbying Congress to allocate more money to farmland preservation and was involved in helping Pennsylvania create its preservation program. The federal government spends money on protecting farms through the Farm and Ranch Lands Protection Program. But Baird said the bulk of money being spent on farmland protection is done at the state and county levels. Farmers who enter the program voluntarily sell development rights to the state, which guarantees that the farms remain agricultural land. This is “for perpetuity,” according to the state’s agriculture department. Through Pennsylvania’s program, easements are purchased from farmers through state, county or local dollars or a combination. Farmers interested in the program apply through the county. They must meet criteria, such as soil type, acreage and location. The program is competitive. Farms are ranked and then offers are made by the county through an appraisal process. Final approval comes from the state. As for the farmers waiting for a chance to participate in the program, state and county officials said they keep confidential the names on the program waiting list. The backlog, state officials said, is an indication of how well the program is working. “The key to Pennsylvania’s success has been farmers’ willingness to participate,” said Doug Wolfgang, director of the agriculture department’s Bureau of Farmland Preservation. State Sen. Jim Ferlo, D-Highland Park, said the state spent a record $102 million on easements last year when Growing Greener II was approved. In 2005, he said, the state spent from $35 million to $40 million on the program. “That boost saved an awful lot of farm acreage that otherwise wouldn’t have been funded,” Ferlo said. The state appropriated $40 million for this year, said Betty Reefer, Westmoreland County farm preservation administrator. But, Reefer expects the appropriation to drop to about $34 million for next year. “It is likely to be less than this year’s allocation because the Growing Greener II bond monies have been obligated,” Wolfgang said. Reefer said she’d like to see more money allocated because her county can only protect about 10 percent of the farms on her waiting list each year. “The most applications we’ve gotten in one year was 65,” she said. “And in one year, the most we can protect is maybe five farms. She said some farms have been on the county’s waiting list for as long as 10 years. Reefer said now is the time to dedicate the funding to protecting those farms. State Rep. John Pallone, D-New Kensington, sees it differently, however. While an ardent supporter of the program, he doesn’t believe that pumping more money into the program is the answer. Pallone suggested the state might be on the tail end of farms that would qualify for a preservation easement. Pallone said that, at the county level, officials are working diligently to review the applications and that throwing more money at the program could jeopardize how thorough the review process is. Ferlo said that, at some point, the state might revisit how it funds its farm preservation program but that, right now, it’s not being discussed. The state’s Farmland Preservation program was developed in 1988 to help slow the loss of prime farmland to nonagricultural uses. The program enables state, county and local governments to purchase conservation easements (sometimes called development rights) from owners of quality farmland. Counties participating in the program have appointed agricultural land preservation boards with a state board created to oversee this program. The state board is responsible for distribution of state funds, approval and monitoring of county programs and specific easement purchases. • Quality of the farmland. State regulations require that easements be purchased for farms containing 50 acres or more. Parcels as small as 10 acres may be preserved if adjacent to existing preserved farmland or used for the production of crops unique to the area. At least half the tract must either be harvested cropland, pasture or grazing land and it must contain soil that meets the state’s quality criteria . • Stewardship. Farms are rated on the use of good conservation practices and best management practices of soil nutrients and control of soil erosion and sedimentation. • Likelihood of Conversion. Easements offered for sale to counties will be scored and ranked for acquisition based on a variety of factors, including proximity of farm to sewer and water lines; extent and type of nonagricultural uses nearby; amount and type of agricultural use in the vicinity; amount of other preserved farmland in close proximity. Farmers can receive the proceeds from easement sales in a lump sum payment, installments up to five years, or on a long-term installment basis. Many farmers use the proceeds from easement sales to reduce debt loads, expand operations, and as a way to pass on farms to the next generation. According to American Farmland Trust, Pennsylvania ranks sixth in the country among states losing prime farmland to development. Here’s a look at the top 10.